Climb aboard our stunning 40-ft powerboat for a day of taking in the sights along the coastline. 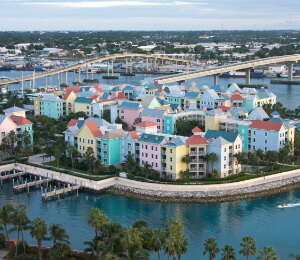 Let the cool caribbean breeze wrap around you and enjoy the sweet Bahamian soca as we cruise out to a magnificent reef. Once here, gear up in our complimentary equipment and dive right off the boat into the undulating crystal waters. We encourage you to bring a go pro or waterproof camera to capture every encounter with the fascinating underwater sea life. Swim among schools of exotic tropical fish that thrive around the coral reef. Your fun-loving, personable captain then takes you to a tropical sandy beach for some drinks and leisure time to end the day as you relax on the white sands, catch some rays, or just float around in bliss before heading back to the mainland. This is sure to be a top highlight of your time at Nassau, Bahamas.